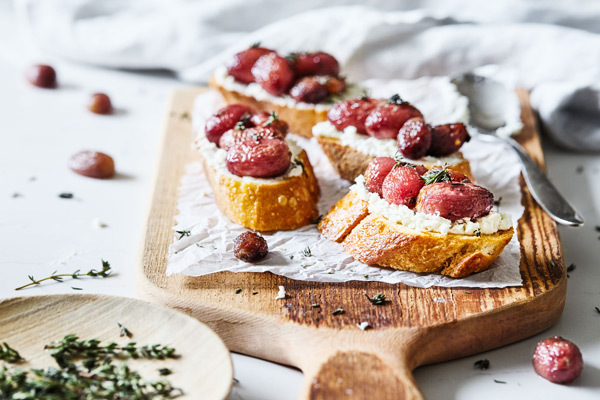 This Roasted Grape and Goat Cheese Crostini is a simple preparation with complex flavor – and it looks beautiful. If hosting parties has taught me anything, it’s that time management is everything and nothing will go as planned. Having a fool-proof crostini recipe like this in our repertoire means at least one thing will go right every time. 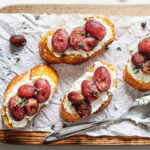 The next time you host a holiday meal or cocktail party, wow your guests with this Roasted Grape and Goat Cheese Crostini recipe. It’s an ideal hors-d’oeuvre: More impressive than oh-so-basic cheese and crackers, and easy to make without risk of anything going wrong (just keep an eye on the toasts when they’re in the oven). 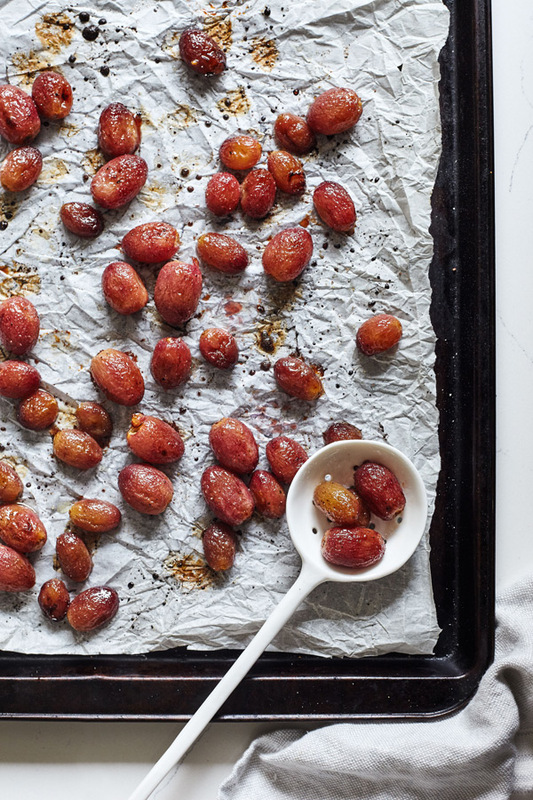 The toasts and roasted grapes can even be cooked ahead of time. When it’s time to serve, everything comes together quickly and makes any gathering feel a little more posh. But there’s no need to throw a party; pair this knock-your-socks-off appetizer with a simple salad and have a gourmet lunch or dinner any time. Looking for an easy crostini recipe? 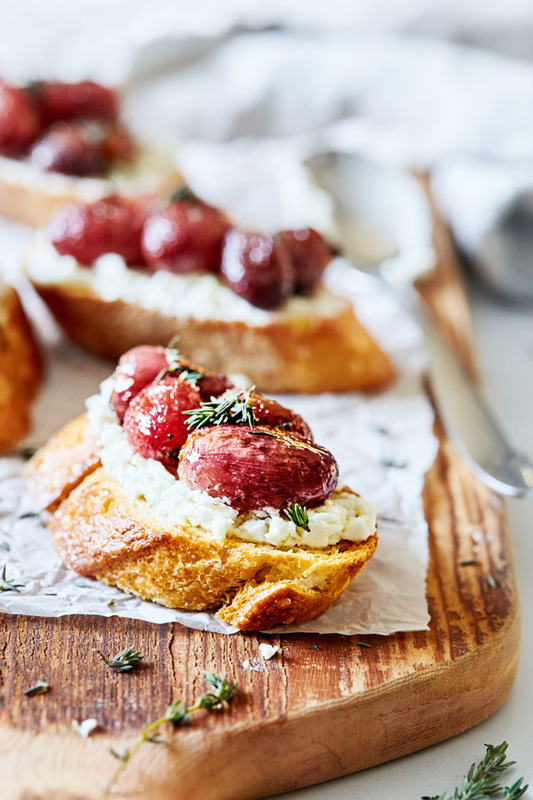 This Roasted Grape and Goat Cheese Crostini holiday appetizer is beautiful and uses only a handful of ingredients.